Last July, T-Mobile launched Advanced Messaging. This feature allows subscribers to send hi-res photos and up to 10MB of video via a text. Most other messaging platforms offered by carriers would not allow a video file of this size to be sent via text. And users can engage in real-time chat with one-on-one conversations and group messages. With Advanced Messaging, T-Mobile customers can see when a text they have sent has been received by the recipient, and read. They can also see when the other person is in the process of writing his/her own text message. T-Mobile announced today that 5.5 million subscribers are using its Rich Communications Services like Advanced Messages and Video Calling. Originally available only on the Samsung Galaxy Grand Prime, it now works on several other devices including the Samsung Galaxy S6, Samsung Galaxy S6 edge and the LG G4. T-Mobile subscribers are sending 40 million messages a day using Advanced Messaging. 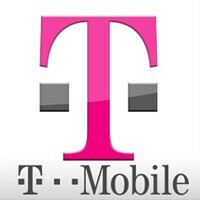 Six million T-Mobile branded handsets support the feature. While T-Mobile is the biggest supporter of RCS at the moment, Google is looking to build an RCS client for Android as Rich Communications Services try to muscle into the space that SMS has held. At the same time, RCS could end up competing with messaging apps like WhatsApp, Facebook and iMessage. I'm having a drink in your honor T-Mobile. Is this feature work on the note 5? Yup on my T-Mo Note 5 it does. I like this feature, but honestly since about 3 weeks ago, it randomly lags quite a bit or works sporadically. I send a two word text and it'll sometimes take up to 20 seconds to send out, yet when I turn it off (by disabling VoLTE) or even just send to someone who doesn't have T-Mobile, texts are near instant. Sometimes pics fail too. I'm not in a poor coverage area either. Maybe I need to troubleshoot with my phone if nobody else is having this issue. Oh and I also have a Note 5. My wife and I are having those same issues. I have lots of trouble with T-mobile texting. I am so tempted to go back to Verizon. I've never had Texting issues on any carriers until now. Even one word has taken literally hours to receive. I have to always switch to their 3G to even get the text to send. I've had a photo stale and not send for a full 24 hour day. Or I get issues where it says its sending and it never reaches its destination or says it has and it hasnt. I already called T so many times. I am tired of calling now because I am having other issues too. Does anyone know to turn this off? It makes my LG4 lag like crazy.